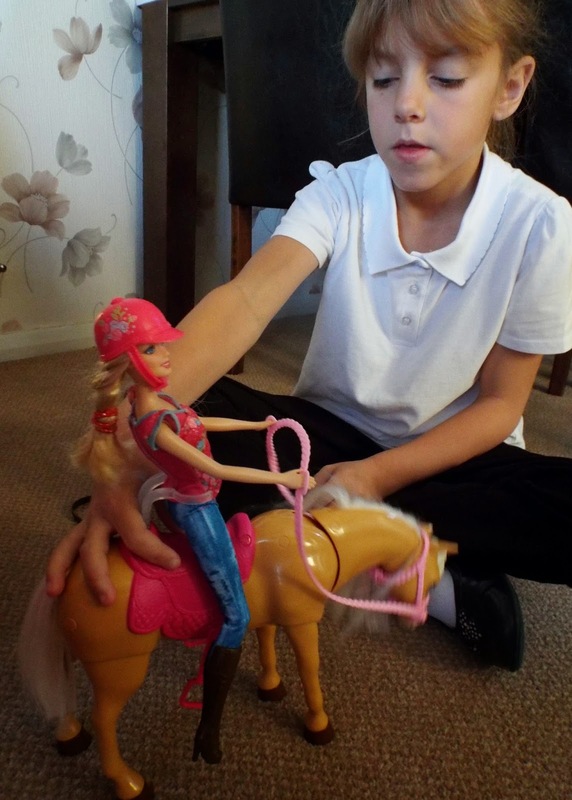 Grotbags loves horses and the new Barbie and Tawny Horse set is absolutely fabulous for any horse mad girl. 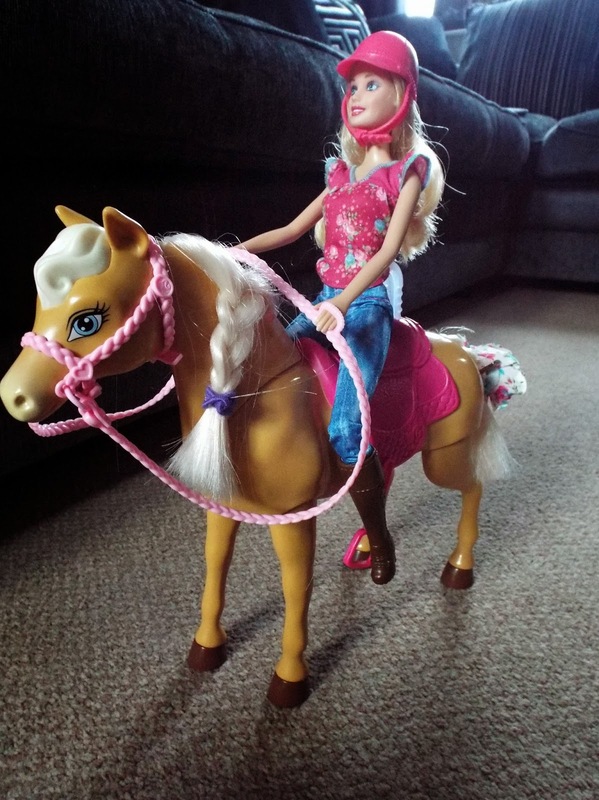 Barbie comes dressed in a stylish riding outfit of faded jeans, floral shirt, brown belt and knee high brown boots along with a trendy pink riding helmet. Tawny the horse has a lovely white mane, pink saddle and a heart shaped brush for grooming. Tawny has some great actions, if you press down on the back of her saddle she will bend her neck down to eat the carrots or drink from her bucket and if you push down on the front of her saddle she will lean forward to nuzzle against Barbie. 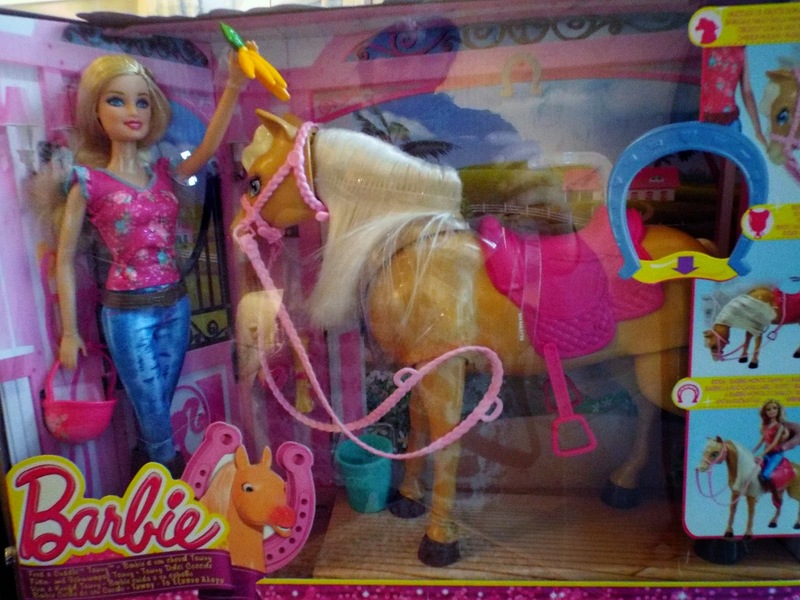 Barbie actually clips into place on the saddle and with her feet in the stirrups she is unlikely to fall off which is a great idea and less frustration for small children. Barbie and Tawny are suitable for children 3 years and over and retails at £39.99 from all good stockists. This has to be a sure winner for Christmas, Grotbags loves playing with Barbie and Tawny. 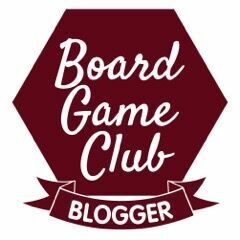 We were sent this item free of charge for the purpose of this review but the opinion is entirely our own.